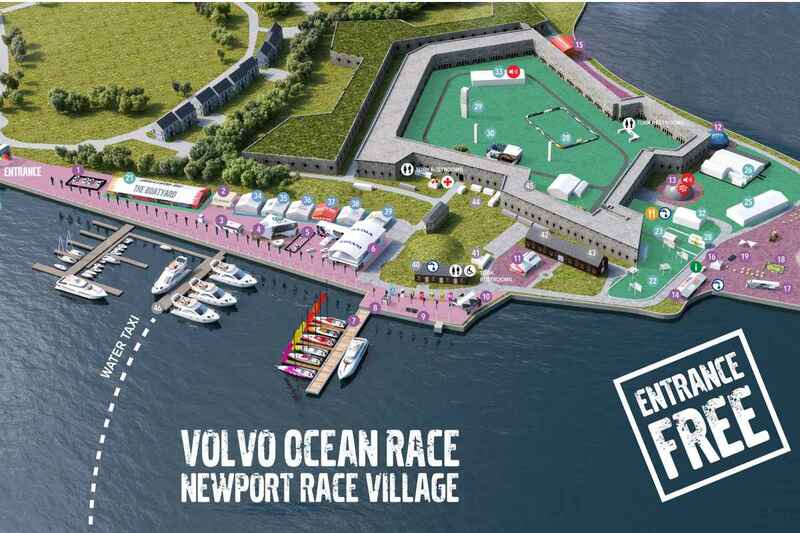 The International Volvo Ocean Race arrived in Newport on May 5, with the opening of the Race Village. Newport will host the only North American stopover as the race continues on its worldwide tour. Every stopover features the Volvo Ocean Race Village, constructed and being held at Fort Adams State Park. The village is open May 5-17 with an abundant amount of FREE activities including entertainment, concerts, ceremonies, kid&apos;s activities, an Exploration Zone, beer gardens, sailing tours and more! Admission is free daily, with parking on site, as well as water shuttles from downtown Newport. Once the racing boats arrive - which should be around May 7 - the public will be able to see them docked at the pier at Fort Adams, as well as enjoy close-up views of the racing action, commentary of on-the-water activities, and watch the daily operations of life on the boat. There will be entertainment throughout the week on the Heineken Docks, along with a food court on site at the village. Kids can try sailing for free, along with a multitude of interactive exhibits, including bubble soccer and rock climbing. "Another Day at the Office" Live Show takes place in the dome of the race village. This informative and entertaining quiz show, based on the race and life on board, is presented by a host that will guide you through a 40-minute program. Attendees are divided into seven teams and compete by answering questions and participating in challenges. The show takes place daily, with specific times listed in the schedule of events. The "Exploration Zone" officially opens May 9, featuring more than 20 interactive exhibits on marine life, sailing, ocean conservation, wind, water, weather experiences and marine technology. For more info and a schedule of events visit volvooceanracenewport.com.